Republic developed its carpet recycling and waste to energy solutions as a response to a challenge grant from the Carpet America Recovery Effort (CARE), an organization dedicated to carpet recycling and diverting carpet from landfills. 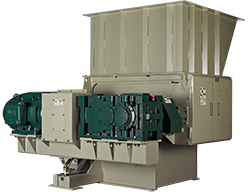 Republic’s carpet recycling shredders boast sustainable throughput capabilities of 3-5 tons per hour. Just as significant is Republic Machine’s ability to drastically reduce the cost of consumables. Our carpet shredders deliver costs of less than a penny a pound. 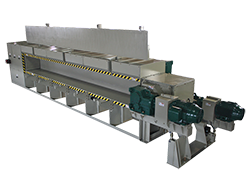 Republic’s carpet recycling shredders prepare carpet fiber for recycling and/or pelletizing. Recycled carpet holds great potential BTU value for the waste to energy market. This product can be burned to generate electricity with few environmental implications. 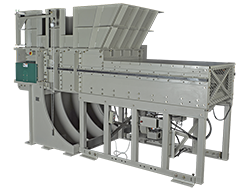 Reduction in mechanical downtime thus increasing valuable uptime.